Summer days are drifting away and the biological clocks are almost certainly ticking loudly for some dragonflies. 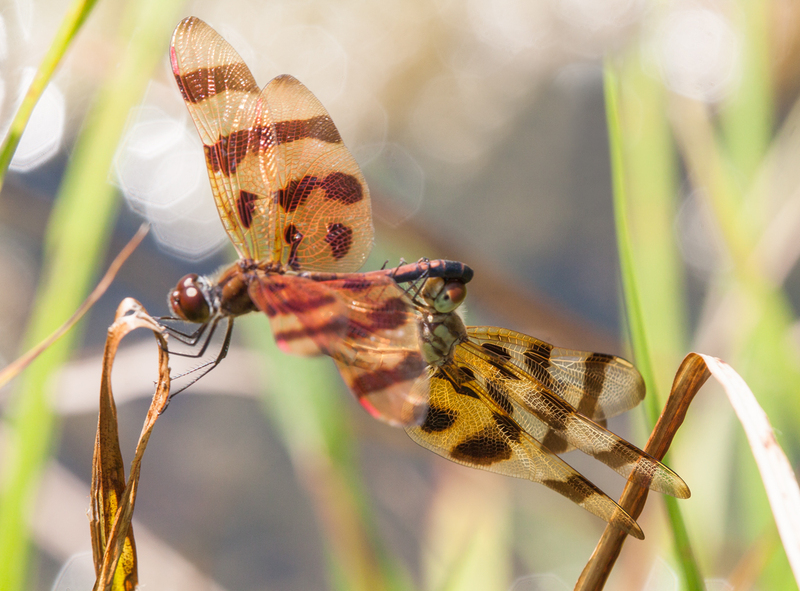 This past weekend at Meadowlark Botanical Gardens in Vienna Virginia, I spotted these two Halloween Pennant dragonflies (Celithemis eponina) engaged in a little summer loving. One of the highlights for me of a short visit yesterday to Meadowlark Botanical Gardens in Vienna, Virginia was spotting this spectacular dragonfly, which I think is a female Banded Pennant (Celithemis fasciata). Earlier this summer, I spotted a male Banded Pennant, whose body was blue, but the coloration of this one suggests to me that it is a female. 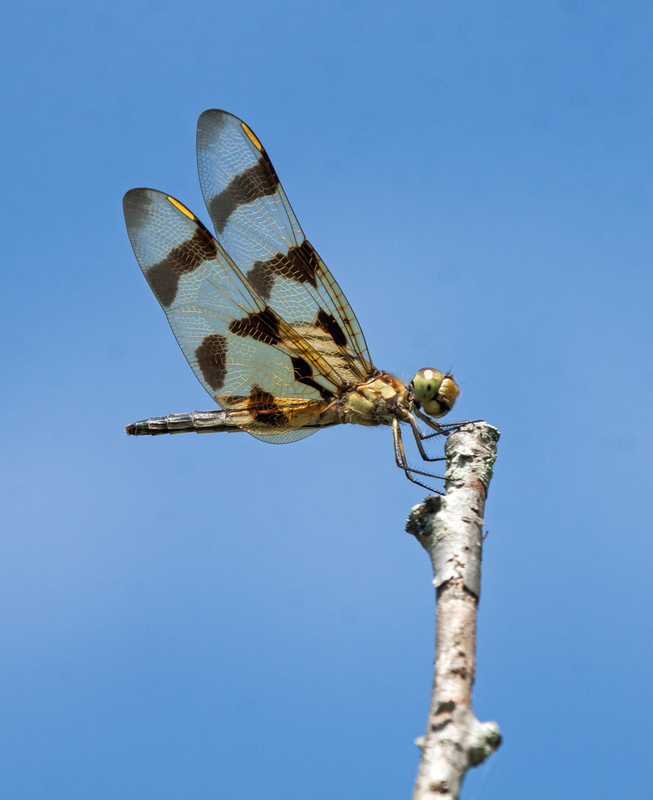 The dragonfly was perched on the highest branches of a small tree, which allowed me to isolate it against the beautiful blue sky. You may notice that the branches are different in the two photos—the dragonfly flew away a few times, but returned to the same tree a short time later. CORRECTION: My initial identification was incorrect. 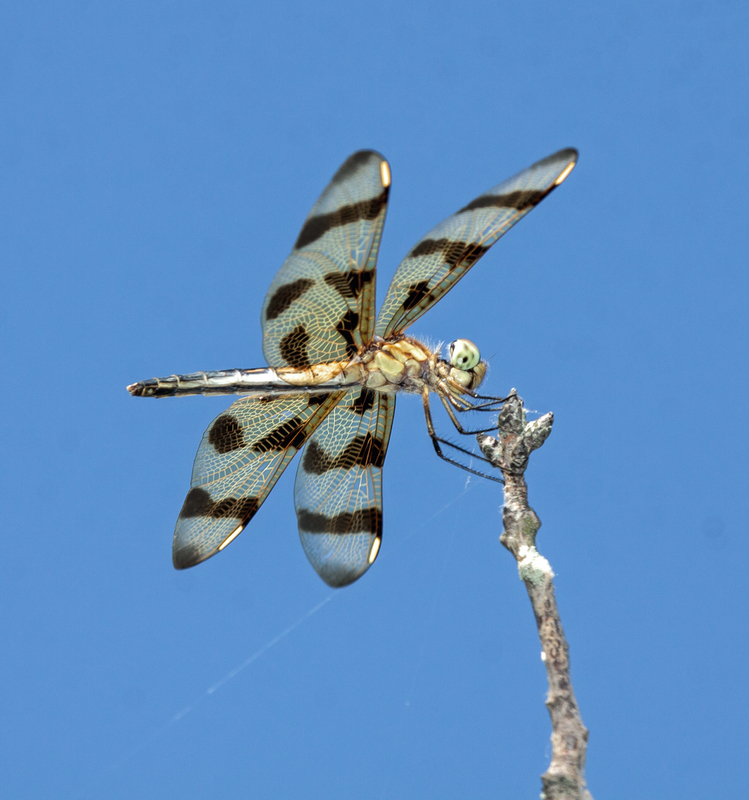 My local dragonfly expert, Walter Sanford, with whom I neglected to consult in advance, provided a correct identification. 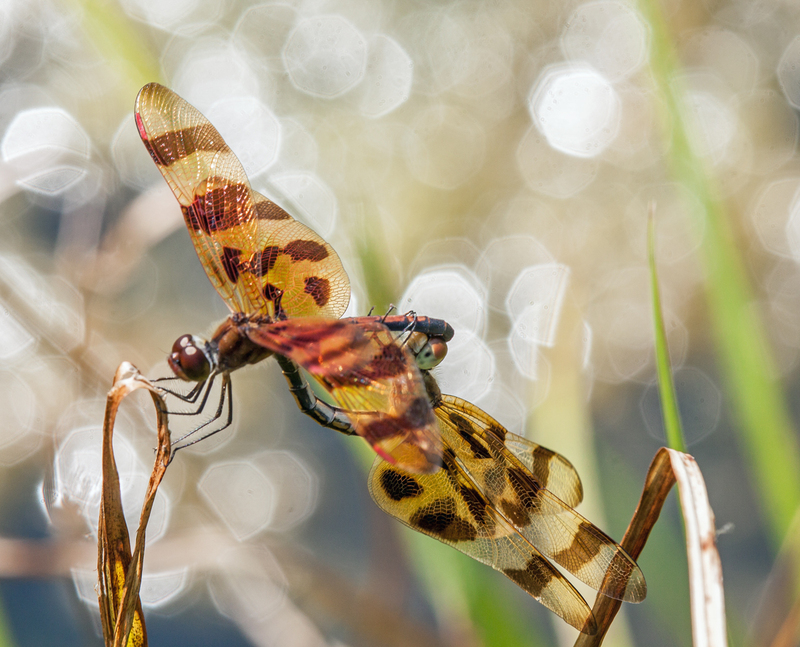 This is a female Halloween Pennant (Celithemis eponina), not a Banded Pennant. In its simplest form, photography is about light and darkness, about lines and shapes. 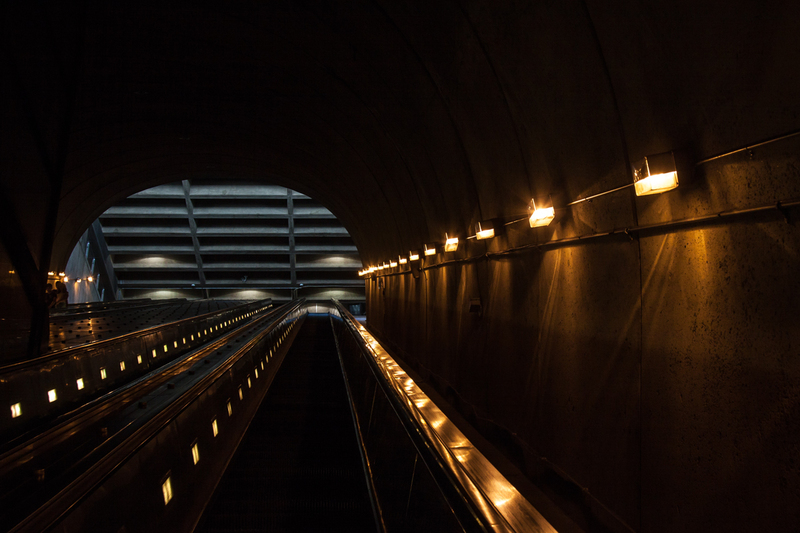 That was what I was seeking to capture when I took some shots in a Metro station in Rosslyn, Virginia earlier this week. I took this week off from work and have spent a considerable amount of time thinking about photography, watching lots of videos, and shooting different subjects in different ways. I have even shot and developed some black and white film—I’ll do a separate posting on that soon. 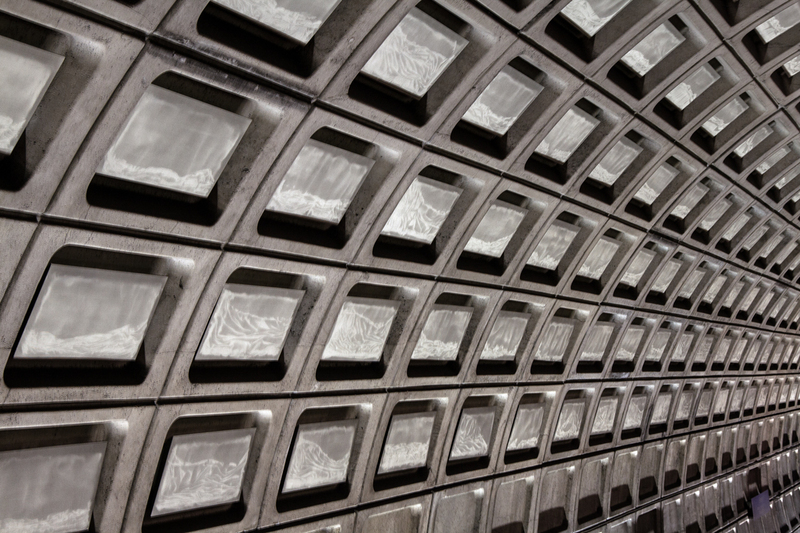 This first shot highlights the distinctive ceilings that are present in many of the stations in the D.C. Metrorail system. I love the geometric patterns and the interplay of light and shadows in this image. I took this 1/3 second exposure by leaning my camera on a railing. The Rosslyn station is at a point in the Metro system where the trains pass under the Potomac River. Consequently, the escalators are extremely long. As I rode the escalator up, I was fascinated by the different lights and captured this image when I was approximately at the mid-point between the level of the tracks and the above-ground station. It was midday on a weekday, which is why you don’t see more people in this shot. Things get really crowded during rush hour and woe to those who do not follow the Metro etiquette of staying to the right on the escalator steps unless passing. Walking in Washington D.C. along the National Mall, I couldn’t help but notice that humans were not the only ones taking advantage of the water fountains along the periphery. 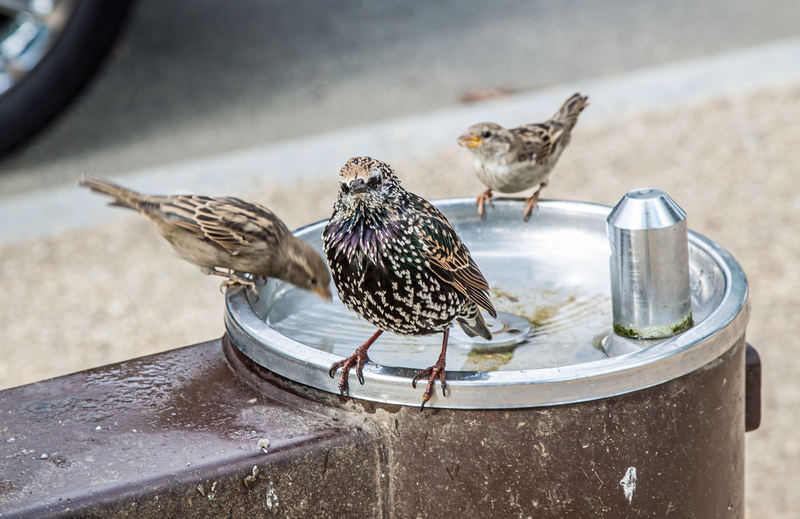 Several different kinds of birds were bathing and drinking in the water of backed-up fountains. 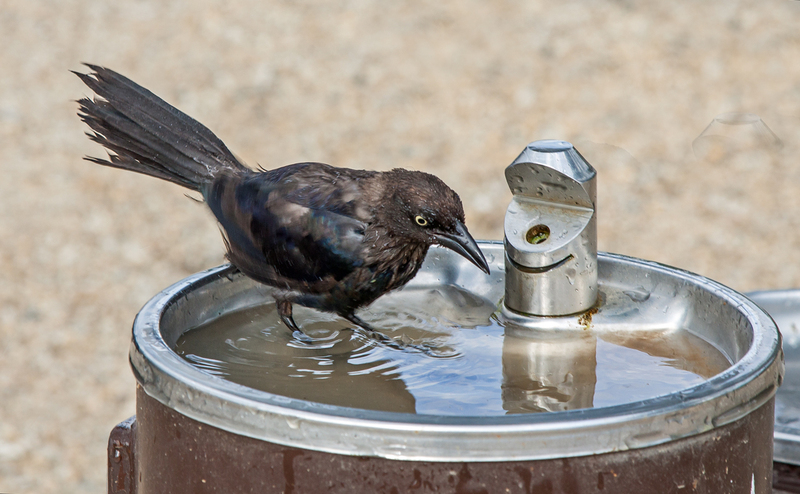 In the first shot, a bird, which may be a Common Grackle (Quiscalus quiscula), seemed to be testing the water in the fountain—a few seconds later, it was happily splashing about. I love the defiant stance of the larger bird in the second shot, looking like he is the leader of an urban gang, prepared to defend his turf against outsiders like me. On a trip to the National Zoo earlier this week, I was walking around in heat of the summer sun, unlike most of the animals, who were relaxing in the shade or finding other ways to cool off. 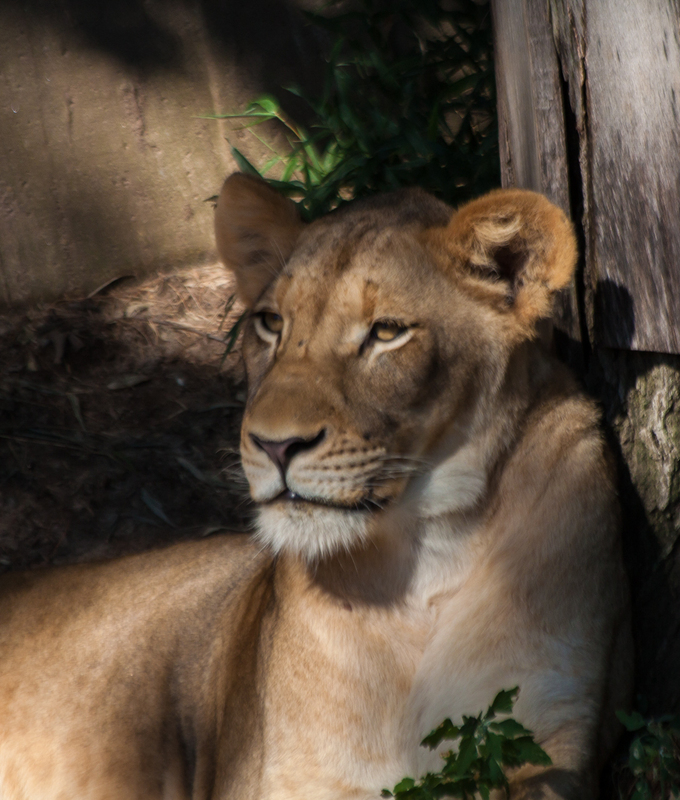 This female lion was dozing in the shade and would periodically raise her head and look in our direction with sleepy eyes. 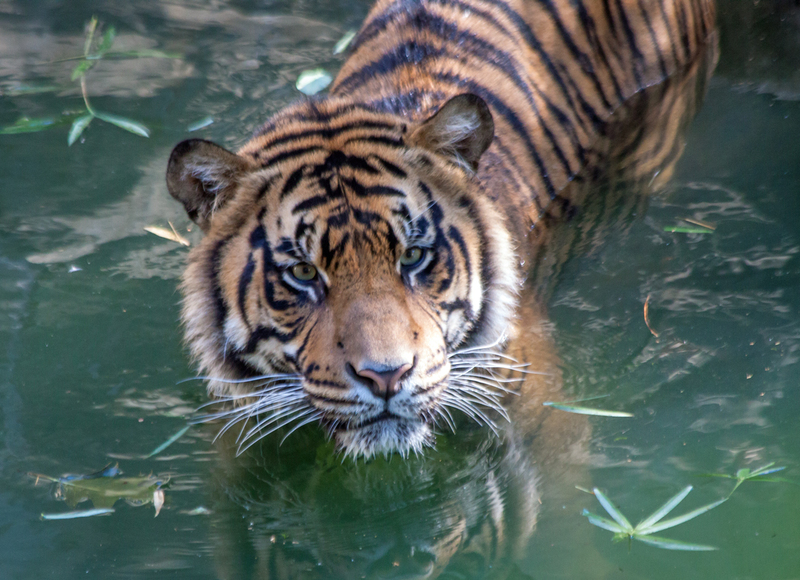 This tiger decided to swim a bit in the water of the moat at the front edge of its enclosure. I couldn’t tell how deep the water was—at times it looked like the tiger was merely walking in the water and not actually swimming. This cheetah seemed a little agitated and was not relaxing. 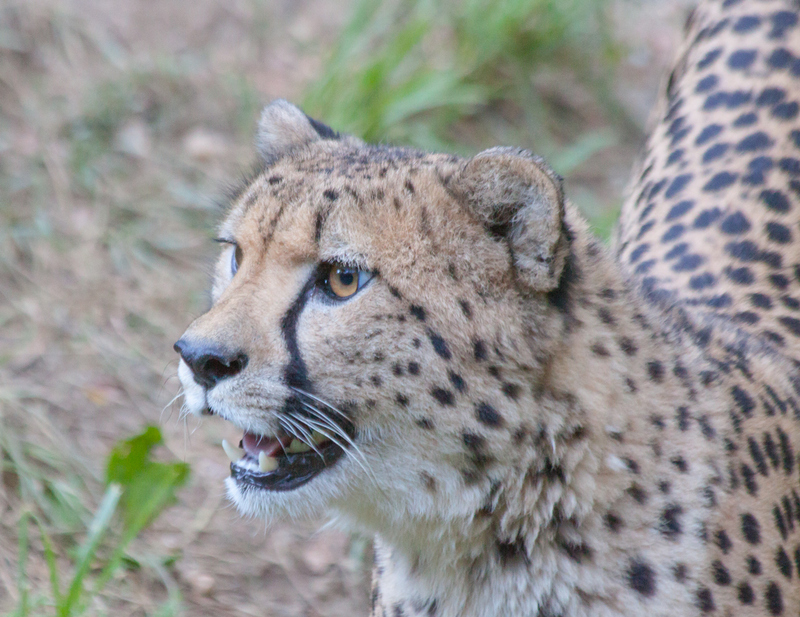 It was walking back and forth along the fence line that separated its enclosure from the adjacent cheetah enclosure. I’ll probably never go on a safari and see these beautiful creatures in the wild, but my trip to the National Zoo in Washington D.C. afforded me a glimpse of their power and their majesty. I am happy that the National Zoo is active in efforts to ensure the preservation of endangered species, in particular the cheetah. Check out this article for more information about those efforts. I haven’t seen very many Monarch Butterflies (Danaus plexippus) the last few years, so I was thrilled when I spotted this one yesterday at the outdoor butterfly garden at the National Zoo. I chased after it as it flew from plant to plant, hoping that it would come to rest withing range of my camera. Once the Monarch had landed I circled around until I was on the same plane as the butterfly and got this shot. Fortunately I was close enough that I was able to fill the frame with the beautiful Monarch and a small amount of the flower on which it was feeding—this is an uncropped image. It was midday and the lighting was a little harsh, but it did help illuminate the wing from an angle and showcase the butterfly’s spectacular colors. 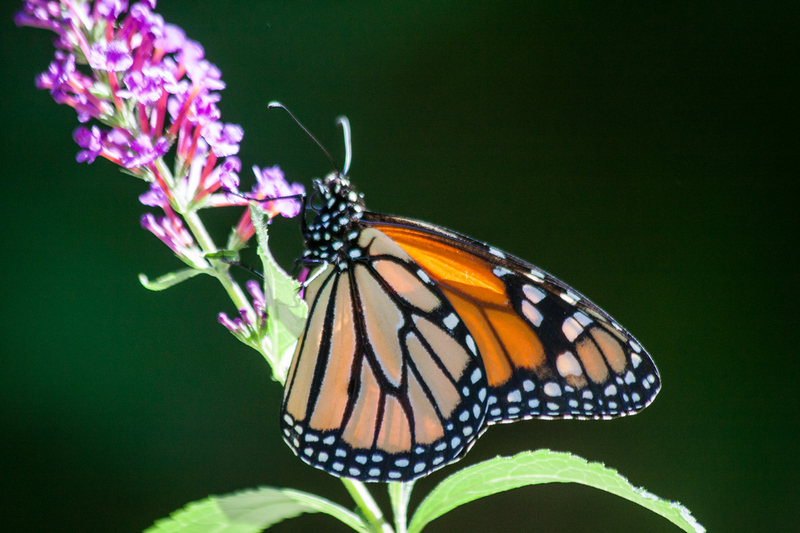 I did take some photos of some of the animals at the National Zoo, which I will present in another posting, but thought I’d start with the Monarch Butterfly, an unexpected bonus of my brief visit to the zoo. 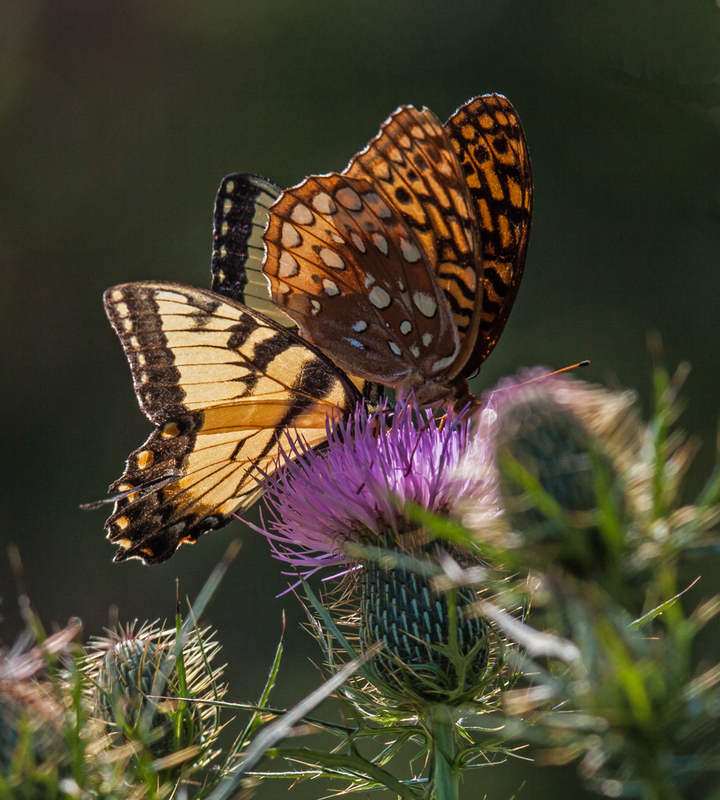 There were lots of other available thistle plants yesterday at Huntley Meadows Park, but an Eastern Tiger Swallowtail (Papilio glaucus) and a Great Spangled Fritillary (Speyeria cybele) kept jockeying for position on this single flower, each seemingly determined to gain the upper hand. Who knew that butterflies were so competitive?